On every Wednesday ANM along with ASHA and AWW will do immunization as per the scheduled Micro-Plan. For difficult villages VHND and immunization can be combined together with extra manpower and mobility support to visit the village. RBSK is an initiative to improve child Survival & Quality of life. It is a systemic approach to early identification of 4Ds: Defects at birth, Diseases, Deficiencies and Developmental delays including Disabilities in children 0 to 18 years of age. Under RBSK proramme, a District Early Intervention Centre (DEIC) is established at DHH, Koraput for treatment of birth defects and referral to higher centre at free of cost. Under this programme, 28 nos. of Mobile Health Team (MHT) is running in different blocks to cater service to the children of Schools and Angan Wadi Centres. The Govt. of India has launched the National Urban Health Mission as a sub-mission under NHM for providing primary health care services to the urban population covering more than 50,000. Under this mission in koraput district, 03 nos. of urban areas i.e. Jeypore, Koraput & Sunabeda is included. For each 10,000 population one Health Worker is appointed to provide basic health care services to the people. Under Public Private Partnership Mode, 11 nos. of Maa Gruha Projects is running. It is a temporary home for expectant mothers where they can wait for safe delivery preferably 7-10 days before Expected Date of Delivery (EDD). In the district there are 06 nos. of Arogya+ (Mobile Health Unit) running under PPP mode. One Keskapadi PHC (N) under Laxmipur Block is also run under PPP Mode. In the District, there are 14 nos. of MHU (One at Each block) are functioning to provide health care services at the doorstep of the people. Under AYUSH mainstream, 30 nos. of AYUSH doctors are appointed in different PHCs & CHCs to provide Ayurvedic and Homoeopathic Treatment to the people. under RSBY all the BPL Card holders are enrolled. Beneficiaries under RSBY (05 members per Family) are entitled to hospitalization coverage up to Rs. 30,000/-. under BKKY farmer families (05 members per family) are enrolled and entitled to hospitalization coverage up to Rs. 1,00,000/-. The Benefits within this scheme will be provided in two separate streams called BKKY Stream I and BKKY Stream II. . Those Families who are eligible to be enrolled under RSBY are not eligible for coverage under BKKY Stream-I. The Odisha State Treatment Fund will provide financial assistance for treatment of the poor patients suffering from life threatening disorders and diseases. The financial assistant will be released to the Medical Institutions where the patient undergoes treatment. 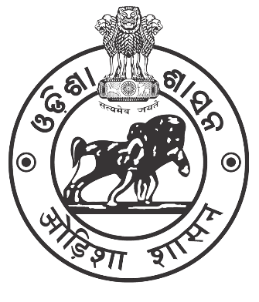 The fund is managed by an autonomous society known as “ODISHA STATE TREATMENT FUND SOCIETY”, which is registered under Society Registration Act, 1860. Applicable to persons below poverty line, person with annual family income not exceeding Rs. 40,000/-in rural area and Rs. 60,000/- in urban areas. BPL card / AAY card or annual income certificate issued by concerned Tahasildar will be accepted for determining the eligibility. RSBY card holders are eligible under this scheme. This is new initiative from Govt. of India to provide free Antenatal Checkups for pregnant Women with participation by Private Doctors at Govt. Health Facilities on 9th of every month. The project is run by Social Security & Empowerment of Persons with Disabilities Department, Govt. of Odisha. “Unique ID for Persons with Disabilities” project is being implemented with a view of creating a State Database for Person with Disability, and to issue a Unique Disability Identity Card to each person with disabilities. On 1st & 15th of Every Month, the District is conducting Medical Board under the Chairmanship of CDM & PHO for screening of persons with disability and issue of Disability Certificate through Online UDID portal (www.swavlambancard.gov.in). It covers different diseases like Malaria, Filaria and Dengue. Different strategies are taken like Early Diagnostic and Complete Treatment (EDCT), Long Lasting Insecticide Net (LLIN) Distribution, Indoor Residual Spray (IRS) and camps like Durgama Anachalare Malaria Nirakarana Abhiyan (DAMaN) to reduce the Malaria incidence. Under RNTCP, all diagnosed patients are treated through Directly Observed Treatment (DOT). The “National Programme for Prevention & Control of Cancer, Diabetes, Cardio Vascular Diseases and Stroke” and “National Programme for Health care of Elderly” NCD programme. The Programme launched at Koraput district on 14th Nov 2011. In the District, there are two nos. of functional Blood Bank available i.e. one At DHH, Koraput & one at SDH, Jeypore.